This past month has been filled with open doors for the word and we continue to follow as the Lord guides. 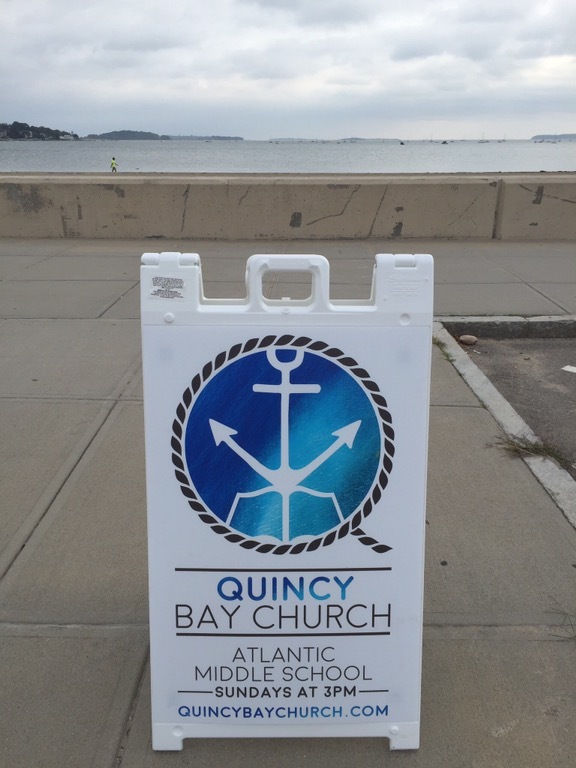 Early on the leadership of Quincy Bay Church began to pray the Lord would open doors to preach the Word in other locations in Quincy be it schools, other churches, or wherever. This past month I have been invited to guest preach at a Christian school’s chapel, two other churches, and to join others in sharing the gospel at the local subway station. Every one of those opportunities began with simple prayers to the Lord for open doors and He continues to provide. 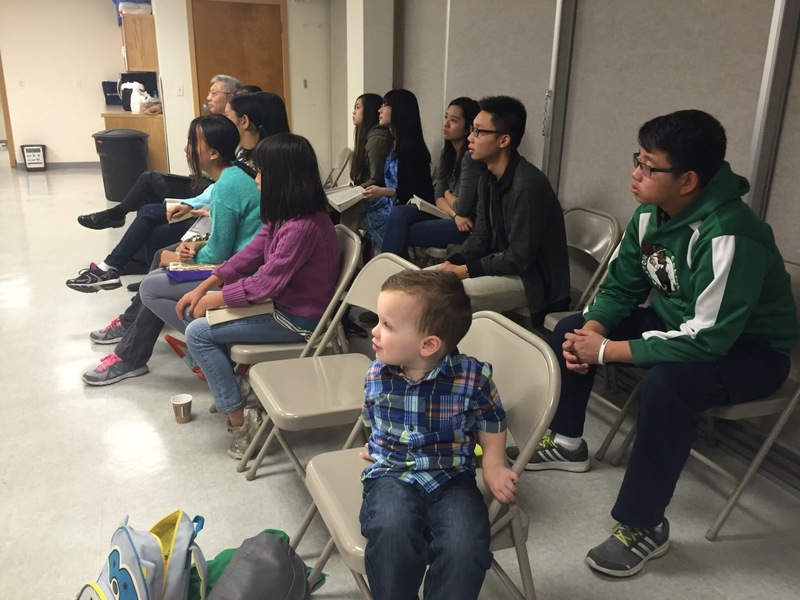 Some of you might not know this but about 26% of the population of Quincy are Chinese and one day I was driving through the center of town and prayed, “Lord, help me minister to these people.” About two weeks later one of the members of the Chinese Baptist Church of Greater Boston contacted me about speaking at their English service. They have two main services (one in Mandarin the other in Cantonese) and a small English service for youth and young adults for those whose first language is English. It was an honor to preach there and, Lord willing, we will have many more opportunities to be a part of this ministry. I was also asked to guest preach for another local pastor a couple Sunday’s ago at a Congregational church and had a wonderful time preaching the gospel and fellowshiping with the saints there. On top of those opportunities I have also been blessed to travel for two different conferences to meet with other like-minded church leaders and be encouraged. 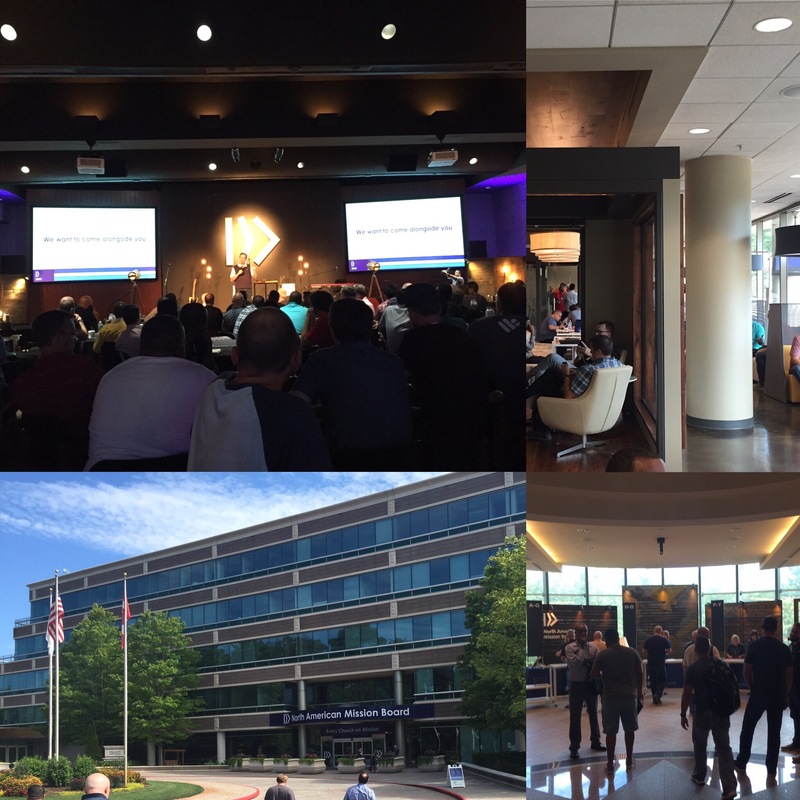 The first was a church planters conference held in Atlanta, Georgia and was attended by around 150 church planters from all over North America. It was a great time and very encouraging to see what God is doing in our nation. 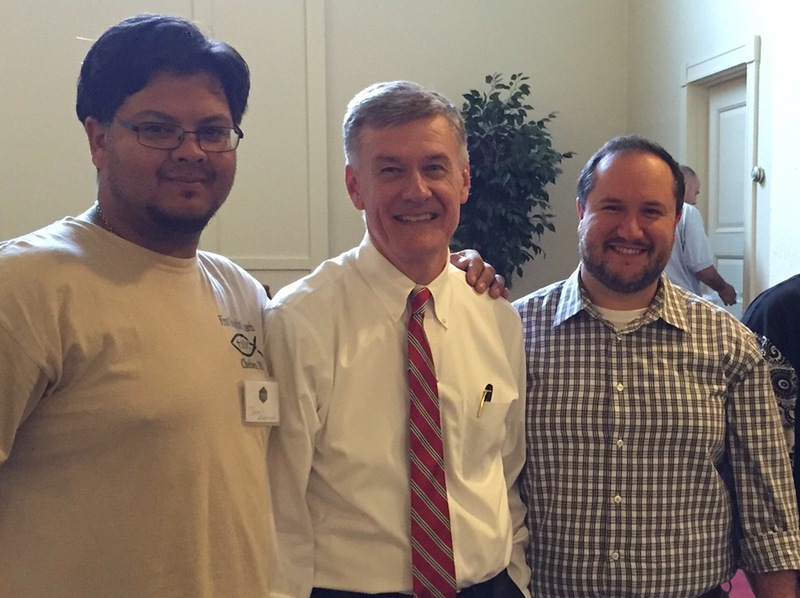 The second was in Rhode Island with Dr Steven J Lawson who taught on preaching through the Psalms. Dr Lawson is one of my favorite preachers and it was great to meet him and talk with him one on one. The church is doing well. We have had a few more visitors to our Sunday service and we praise the Lord for each and every individual who attend. 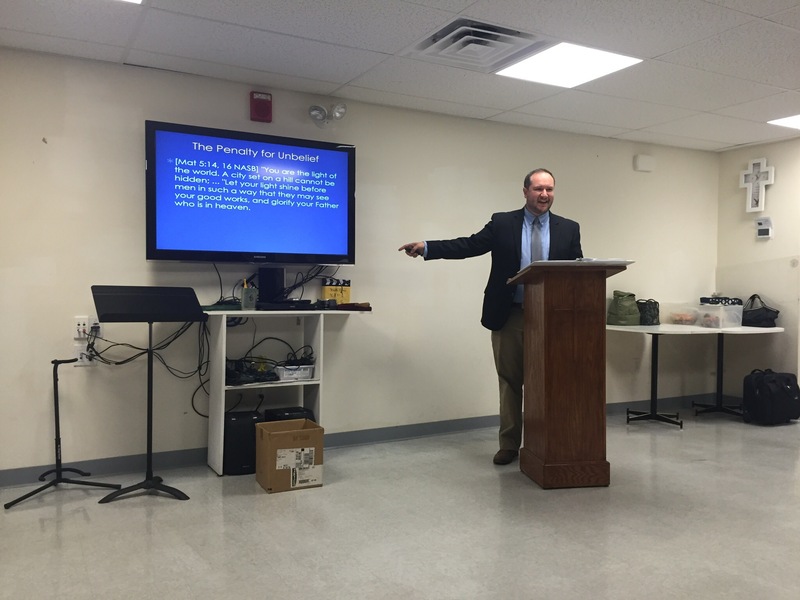 I also took one weekend and taught the Sunday School while the Associate Pastor Matt O’Sullivan preached in the main service. 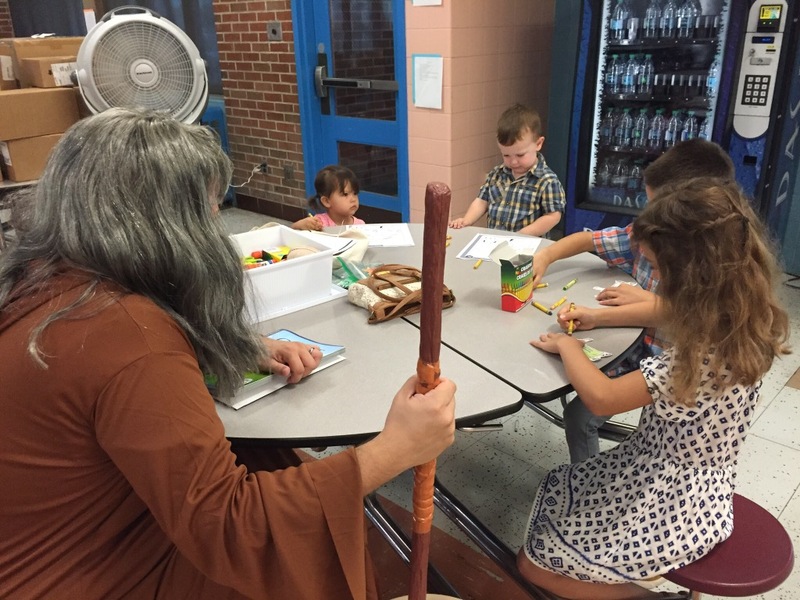 Here is a picture of me, dressed as Moses, and teaching about the burning bush! As for the family, we are doing good. 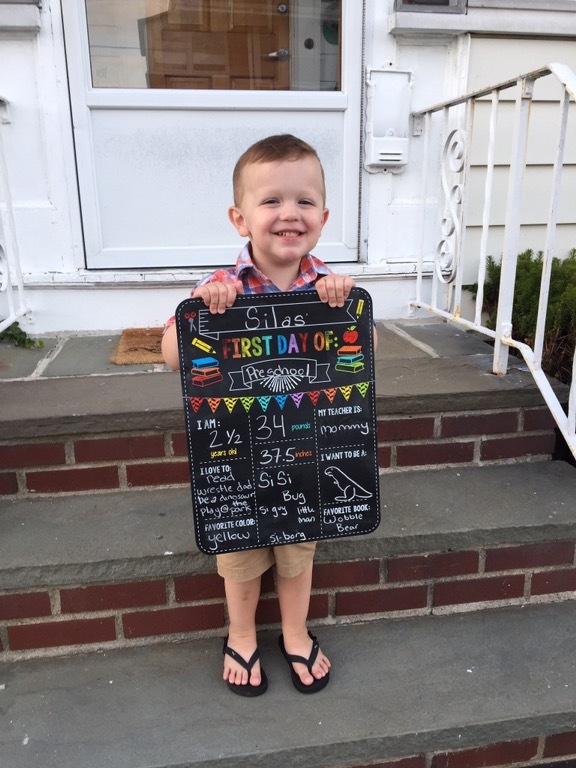 Silas is growing up so fast and started school recently with Anna. He can sing the ABC’s, count to 10, and repeat Bible verses! So fun! 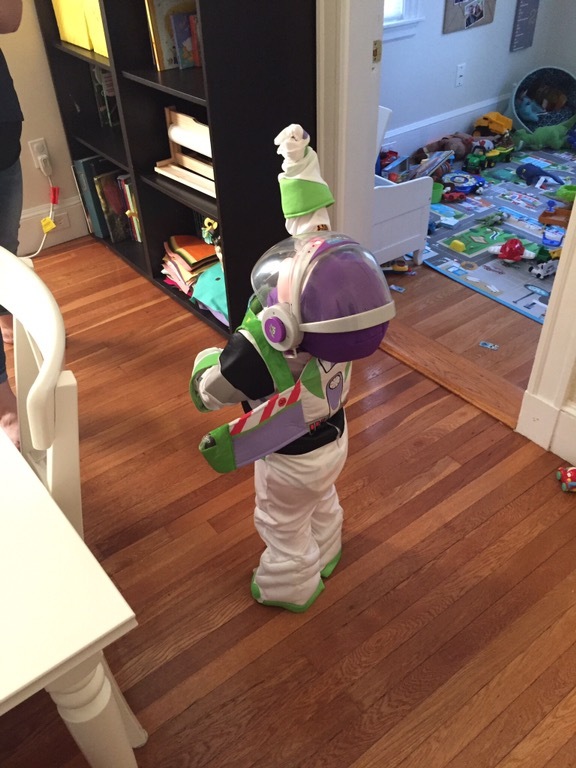 And Silas’ new Buzz Lightyear outfit was too cute not to share! This month we were thankful for the opportunity to get together with some visitors from Grace Chapel (the Wilkes and the Abrahams). We always love seeing people from the West Coast. So if you are ever passing through Boston, let us know because we would love to show you our wonderful city. Lastly, I wanted to say how thankful we are for your support through your prayers and your finances. God is working in New England to reach the lost and build His church and we couldn’t do what we do if it weren’t for your faithful support. 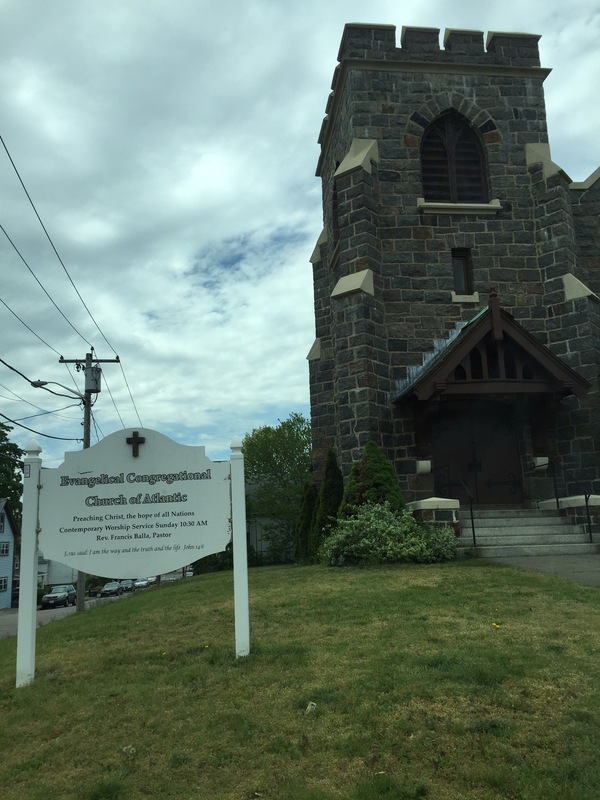 If you, or someone you know, would like more information about the church plant and ministry in New England don’t hesitate to contact us. You can always email, visit QuincyBayChurch.com , or contact us through social media. Wow!!! What a great way to teach the little ones by being “the Moses.” That would have been so cool instead of flannel graphs.